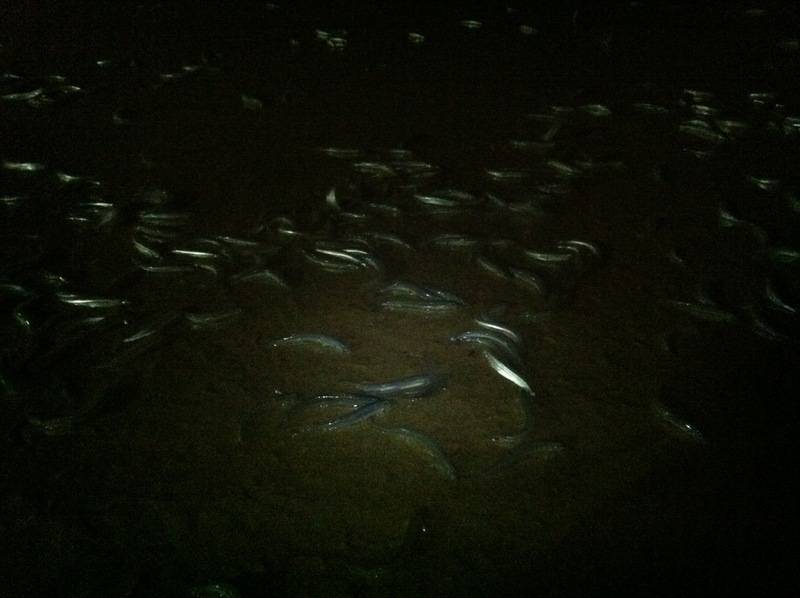 Grunion Leuresthes tenuis are now “running” on the Pacific shoreline, from Baja to Los Angeles. 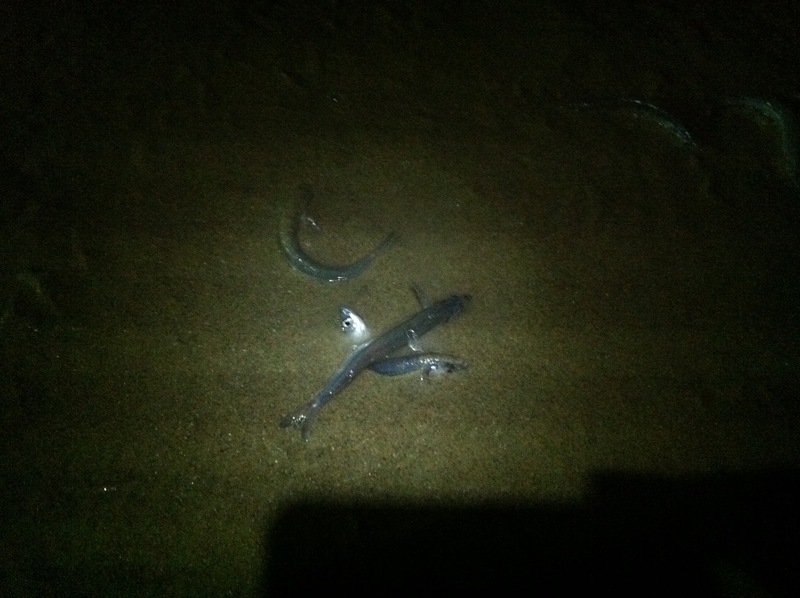 One of southern California’s natural treasures, grunion are unique in nature as fish that come completely out of the water to spawn in the middle of the nights after a full moon, from March to August. It’s neat to see, and scientists know precisely when they will come to shore to lay their eggs. But they just don’t know where. What shore will the grunions pick? I have made midnight runs countless times, and picked the wrong beach. But last night I got lucky! Here are some photos of what I saw at midnight under just passed full moon.